David Hockney once said, “Inspiration, she never comes to the lazy,” so it’s a bit curious that the works from his most recent series are iPad and iPhone drawings, many of which he created lying in bed or lounging in his living room. Two hundred of these iPictures—which spread across 20 iPod Touches and 20 iPads—will be mounted on the ROM walls for David Hockney’s Fresh Flowers, an exhibition that will be in town from Oct. 8 to Jan. 1. Most of Hockney’s works are little fragments of his daily life frozen on the screen as if they could just as effortlessly have been snapped with the device’s built-in camera and forgotten in an album full of looking-down-at-your-shoes photos. 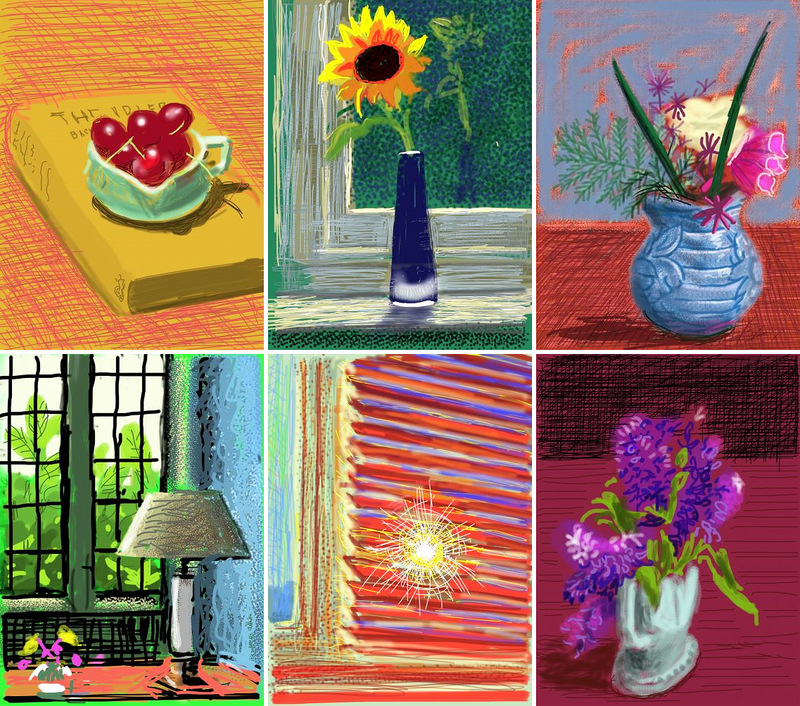 But that doesn’t mean they aren’t beautiful or that they don’t require some semblance of an artistic eye—vibrant flowers in vases and picturesque scenes of books and berries are portrayed in bright, colourful still-lifes rendered with the various blurry brush strokes from the Brushes app available on any iPhone, iPad or other iThing. Hockney says the quickness of drawing with your fingertips (or a stylus) on Brushes allows your thoughts and feelings to stream more quickly onto the canvas (read: backlit glass screen) than working with, say, a pen or paintbrush on a sketchbook page. The instant nature of digital art actually makes it easier to convey the artist’s ideas. Sometimes Hockney even gets so absorbed that he absent-mindedly wipes off his fingertips to remove the non-existent paint. 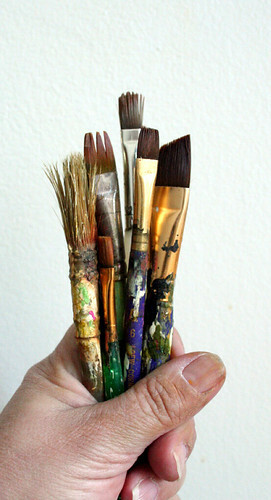 What’s more, all the artist’s fingertips can be used to draw five lines at once, which would be pretty tough to do with a paintbrush (this technique isn’t usually fruitful). The iPads, though made for touching, will still be hung as art, so this ROM showing will not be easy for grabby technophiles to digest.